Create a classic centrepiece in your living room with the beautiful Evelyn coffee table. 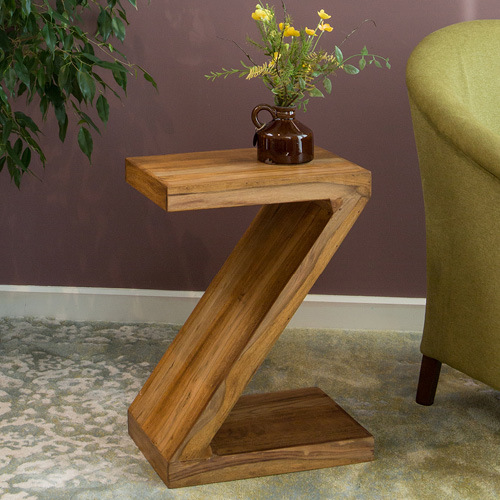 Crafted from solid plantation hardwood with a white oak finish, this contemporary coffee table features a chunky design and robust quality. The clean lines of the table combined with the natural oak colour will suit just about any style of interior or colour scheme. The smooth table surface provides ample space for drinks and snacks when entertaining guests or simply for placing the remote control and a cup of tea while you enjoy your favourite TV show. Brighten up the room by placing a vase of vibrant flowers in the centre, or illuminate the space with an ornate candle holder from our Home Accessories range. Complete the look with additional items from the Evelyn living room range, including lamp table and set of nesting tables for occasional or decorative use.